Joomla Virtuemart Order Cancellation This magnificent extension gives the customers privilege of cancelling their orders. The eligibility of order cancellation is based on product, price of order, time period and status of order. Here Admin just needs to assign simple conditions based on these scenarios to avail this feature to his/her customers. Joomla 3.x, Virtuemart 3.0.xAfter downloading the Joomla Virtuemart Order Cancellation extension you’ll get one zip files, unzip and use it. Go to “Extension Manager”, upload the zip file and then click on “Upload & install”. 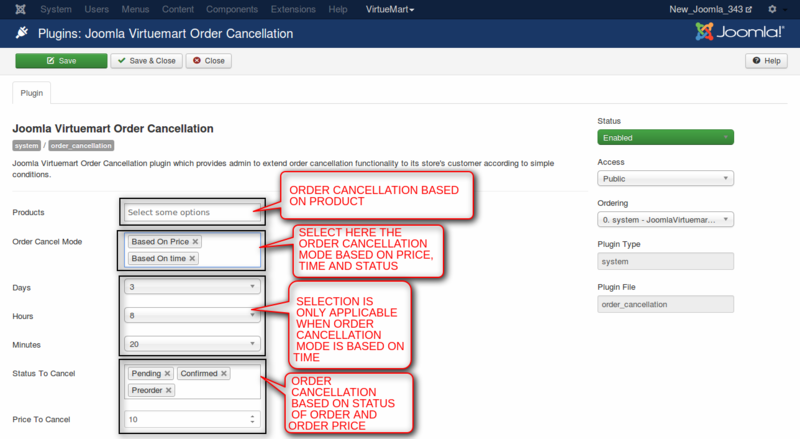 Go to “Plugin Manager” to view the Order Cancellation plugin settings page. 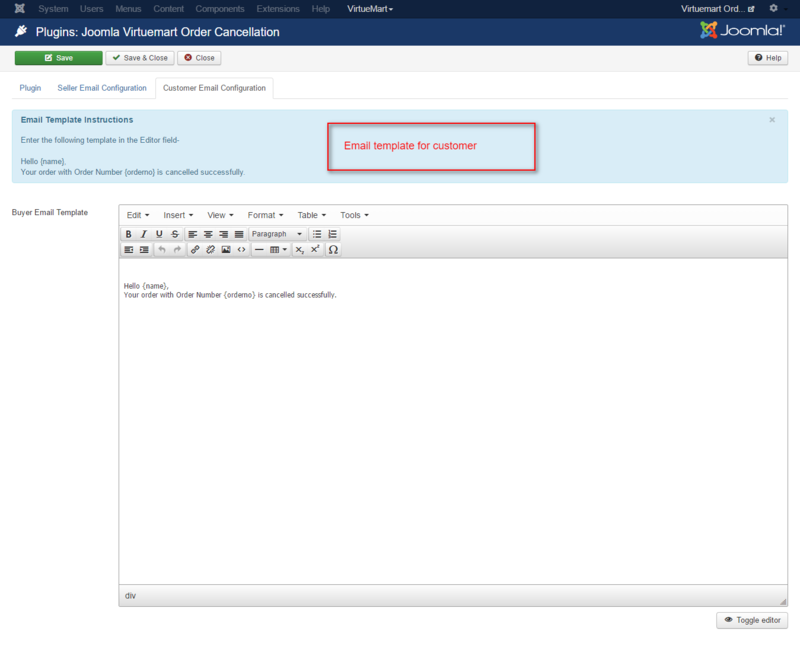 Search for Joomla Virtuemart Order Cancellation. Here admin can select scenarios for cancellation of orders based on specific products, product price, status of order, time period and order total. Time period of orders is calculated on days, hours and minutes. 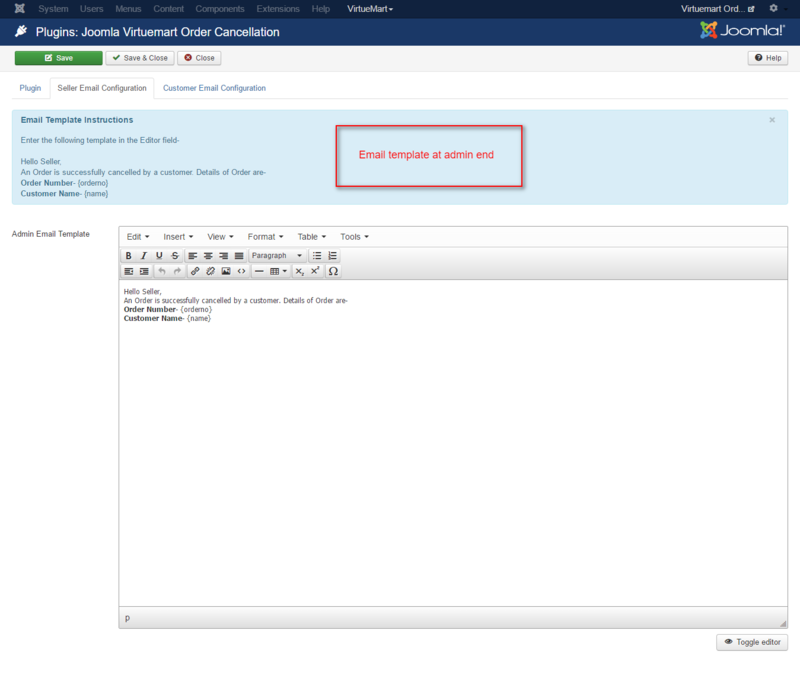 Option of mail templating is provided for individual buyers and admin on order cancellation. View of list of orders at buyer’s end. Click on “Cancel” for cancellation of orders. 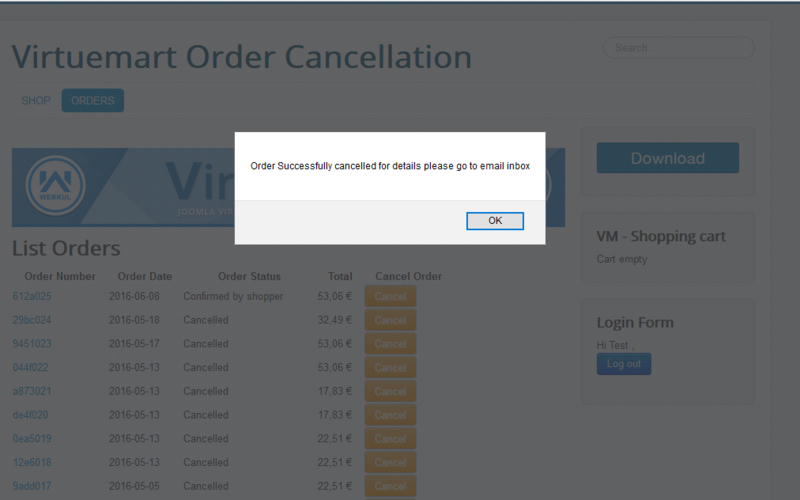 The order cancellation option will be displayed on Virtuemart list order page. A message notifying successful order cancellation will be displayed once an order is cancelled.